China’s new Foreign Investment Law, the main legislative accomplishment of this year’s “two sessions,” has been hailed as a “landmark law in China’s opening up” by Chinese state media. Overseas observers are moderately optimistic about its potential to even the playing field on the Chinese market for foreign companies. A provision in the new law stating that China will “establish a foreign investment security screening system” has dampened enthusiasm, as some are concerned that the system could erect new investment barriers. Yet the new security screening provision overlaps rather than adds to existing rules and laws. In addition to its blanket restrictions on investments on a sectoral basis, the so-called negative list, China already has laws and regulations to conduct ad hoc investment screening based on security. A State Council notice from 2011 announced the establishment of a screening system for foreign acquisitions. The notice focuses on a number of specific industries but also includes more general provisions, including to protect “economic stability.” According to the notice, an inter-ministerial coordination mechanism, a Joint Conference, under the dual leadership of the National Development and Reform Commission and the Ministry of Commerce is in charge of implementation. The 2015 State Security Law too stipulates the creation of an investment screening system. Articles 59-61 state that the system focuses on key technologies and that the system will be implemented by both the central government and local bureaucracies. How and to what extent these measures have been implemented remains unclear. Neither the 2011 notice, which does not have the status of legislation, nor the State Security Law give more than rudimentary indications about the functioning of China’s security screening. In stark contrast to the recently passed legislation, a 2015 draft to the Foreign Investment Law devoted a whole chapter to the functioning of a national security investment screening system. Like the 2011 notice, the draft law assigned implementation to an inter-ministerial Joint Conference. The draft had notable inadequacies. Crucially, the list of factors to be considered for screening was open-ended, making the system vulnerable to misuse. Nevertheless, the draft codified basic aspects about how the screening process would be conducted, including timeframes and application procedures. It also required the State Council to annually report about the implementation of the screening system, which would induce some transparency to the process. These would be significant improvements to China’s current black box system of security screening. The absence of clear rules of the new Foreign Investment Law’s screening system has sparked debates about its purpose and function. 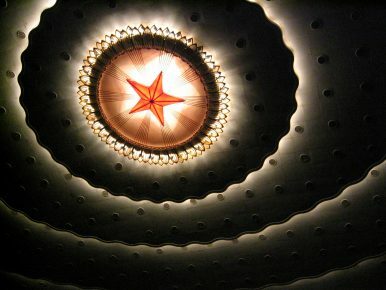 Among the limited official news coverage about screening system, there was a suggestion by the National People’s Congress delegate Chen Fengxiang, a former vice minister at the Communist Party’s International Liaison Department, that the screening should constitute a “foreign investment employment security system,” arguing in part that it was necessary for China’s “political security.” Chen’s interpretation has not been repudiated by Chinese authorities. This manifests a far-reaching notion of what constitutes national security, which, if it were to be implemented, would undercut the liberalizing purpose of the law. Another NPC delegate, China’s Ambassador to Greece Zhang Qiyue, has complained that it made little sense to pass the new security screening provision without first laying down rules about the screening process. Some of the existing legal loopholes would have been ameliorated if the 2015 draft chapter had been left untouched. Instead, the Chinese government chose to rush through the new law, presumably to appease the United States in the ongoing trade war. Instead of dismissing other countries’ policies out of hand and obscuring the role of Chinese legislation, China’s leaders should engage with foreign counterparts in honest discussions about the role of security screening. It is high time for the major players in the international community to find some common understandings about the connections between investments and national security, to recognize that some security measures are legitimate and to ensure that security concerns do not become an excuse for domestic favoritism. Pär Nyrén is a project manager at the Stockholm Free World Forum, a Swedish foreign policy think tank.